Yes, I'm addicted to relays. 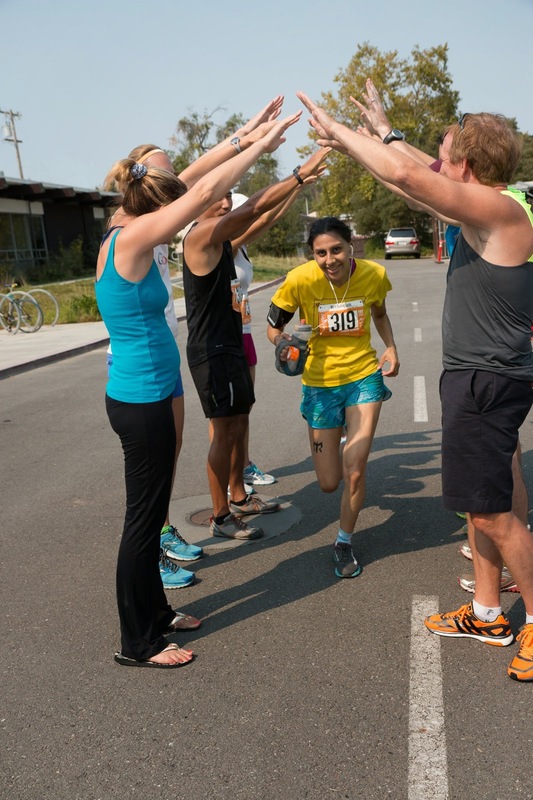 The camaraderie of the team, making friends, the running, the cool new routes - what's not to love? 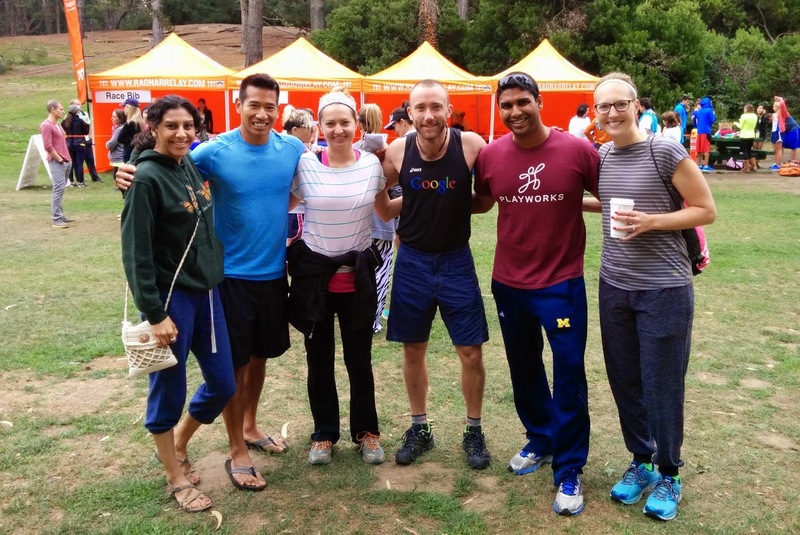 Last weekend I spent 30 hours relaying with the team 'We're Feeling Lucky,' a team named by the fact that it was a mostly Googler group. Some of the people on the team ran with us in 2012 and others came to us new this year. 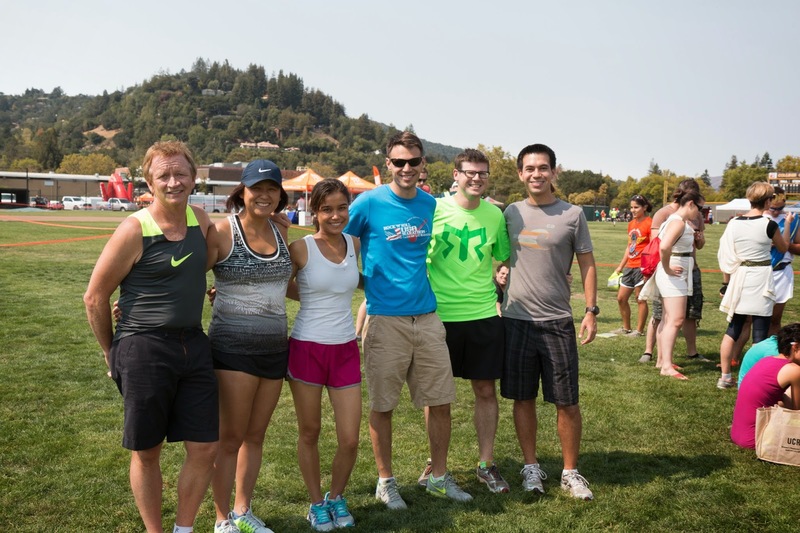 I had a fantastic time with everyone and hope to keep seeing them outside of Ragnar too. 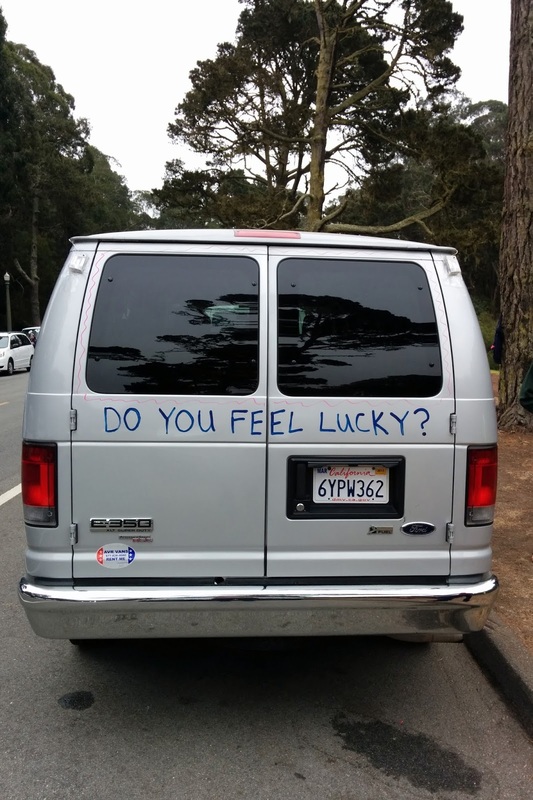 I was in van 1, and we started from San Francisco in Golden Gate Park at 10:15 am on Friday. We arrived early enough to hang out at the start and to meet friends on other teams. I was thrilled to finally meet Amanda and Cathryn, who I feel like I know already from the Twitter-verse but had technically never met in real life. 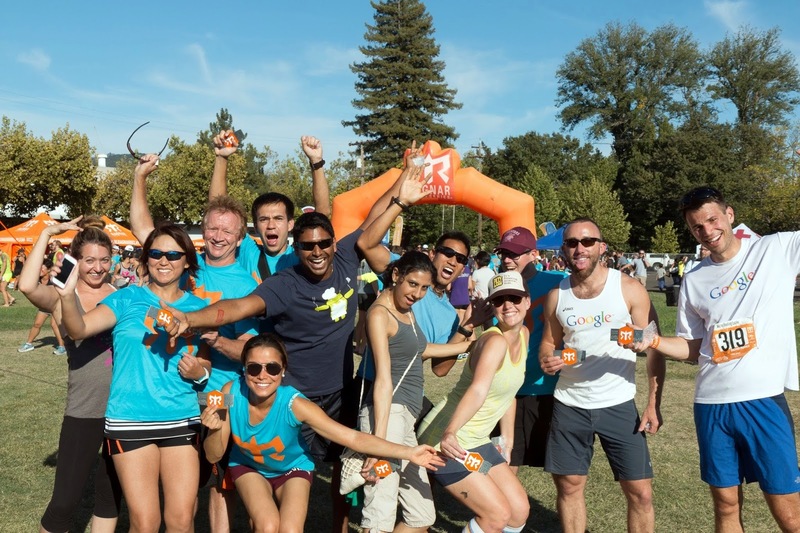 It was fun to start around the same time as them and also as the Go Far run group team because we saw them throughout the relay. Early departure from downtown San Jose. 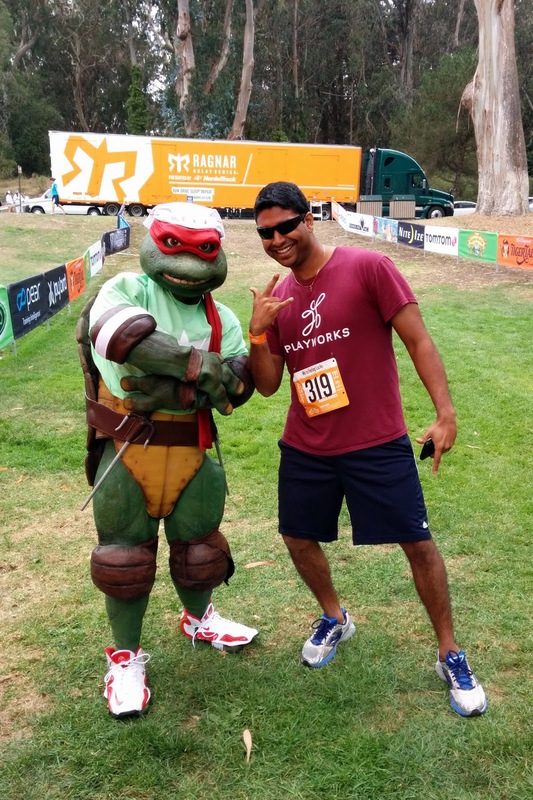 Runner 1 getting some Turtle Power! The Napa course has changed since I ran it in 2012 when it started in Crissy Field and runner 1 ran the Golden Gate Bridge. 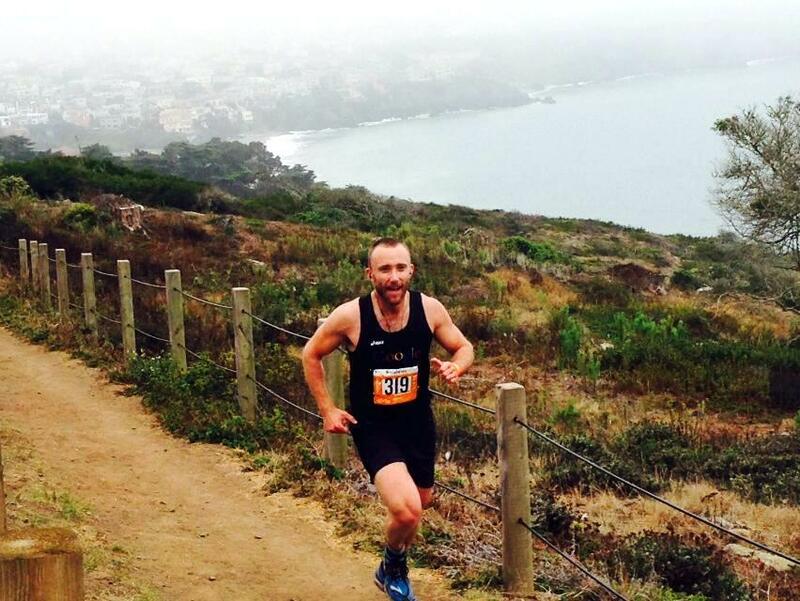 This time, Justin (runner 1) started in Golden Gate Park and ran up the hill by Cliff House to an exchange, where he passed to Brendon for the Golden Gate Bridge leg. Brendon also got to enjoy running on the beach, climbing the sand ladder, and finishing the uphill on Lincoln Boulevard. That's a seriously tough run and he rocked it. Climbing up the dirt path beside Lincoln Boulevard. Amy ran into Sausalito and then it was my turn to pick up the slap bracelet for a jaunt through town. Even though I was a different runner number than I was the last time I ran this relay, the course change resulted in my route being the same one I ran then. It was a good route with some along-the-water running, so no complaints here! I ran much harder than I expected to and was very happy with myself at the end. I passed off to Jason (runner 5)and we headed to our last exchange for the morning. Poor Jason ended up on the runner 6 route at some point and ended up running at least 2 miles extra in the heat, but he made it back safe and sound to pass off to the real runner 6. While waiting, we had more time to chat with Amanda and Cathryn as well as to meet more Googlers who were around. 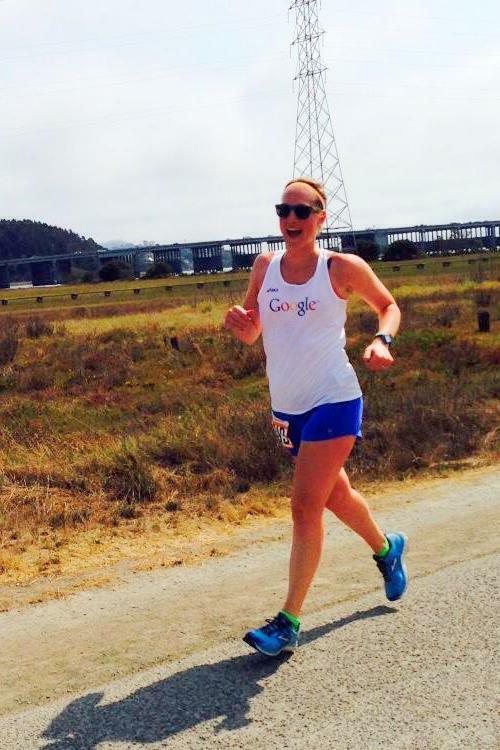 The Google singlets are good conversation starters! We soon united with van 2 to say hello and sent them on their merry way. Our next stop? Marin Brewing Company for food. It's one of my favorite places and we were basically right by it. After that we hung out at Exchange 18 for a while and Cecelia and I took advantage of the free massage. So nice. Now we move into the night where there are almost no photos. I had an 8.3 mile run that I swear felt like it followed an uphill grade the whole time, but again I felt great and was happy at the end. Somewhere along the way the course switched up a little because this run wasn't the same one I'd done in 2012, but I'm unclear on how that worked out. Our van finished our second set of runs around 2:45 am and went straight to the next major exchange to sleep. Sadly, that exchange (which in the past had showers and indoor sleeping) had us sleeping either in the van or on the grass. I made myself comfortable in my sleeping bag on the soccer field and that was fine, although a little dewy. Kevin said their sleeping spot at another exchange was outdoor and then evacuated because of sprinklers. There were no indoor sleeping areas on this course at all. The sun came up and we were off running again around 7:30 am. Leg 3 let me know how hard I'd worked on the first 2 runs and boy, were my legs heavy. My route was nice and included going by wineries and over a bridge with a view. I was happy to finish that one off though! That brings us to exchange 30 and van 1 being finished. As much as it's nice to be finished earlier, I kind of prefer running from van 2 and having the finish line legs. 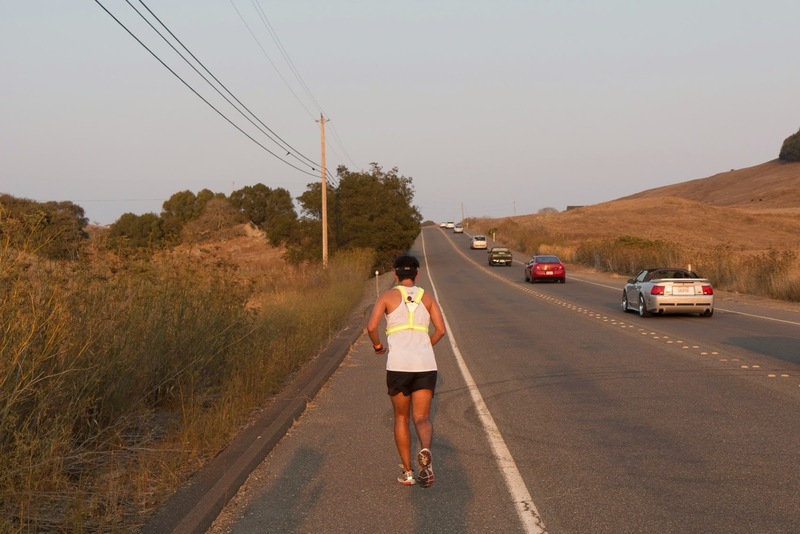 I'd like to experience Napa from van 2 sometime because the scenery and routes look great, but the heat is definitely worse for van 2. I was feeling worried for the people out there running the long exposed routes in the 80+ degree weather and full sun. You may notice we have belt buckles in our hands and not medals. 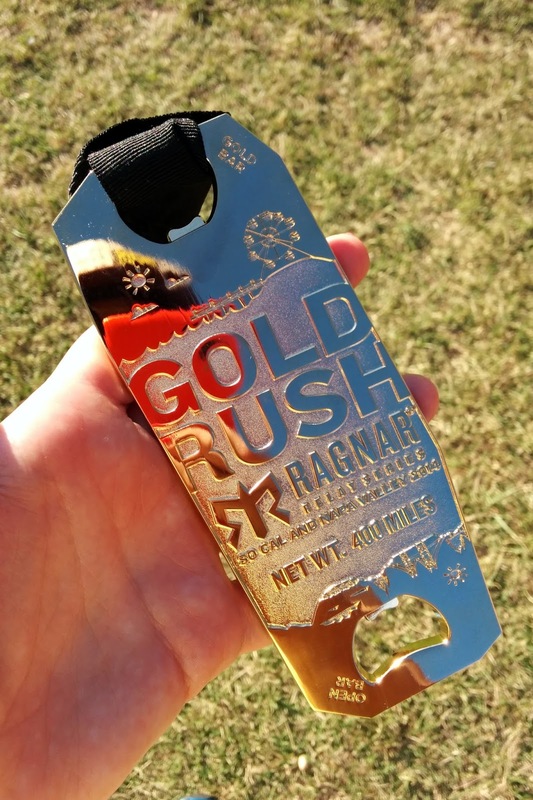 Ragnar said the medals were caught in customs and they'll mail them to us later. 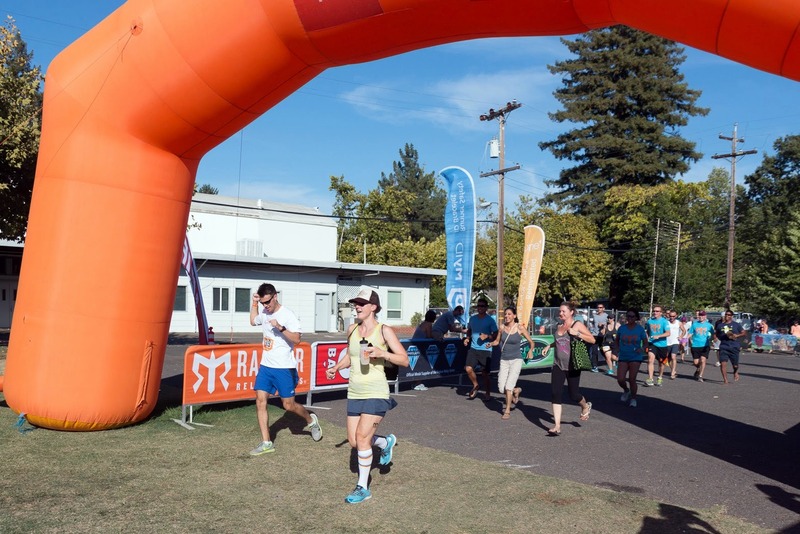 Instead, they gave us Ragnar Trail Relay medals and extra beer tickets. Beer, yay. Trail Relay medals? Weird. It's a nice gesture but felt like they were just trying to get rid of extra inventory. 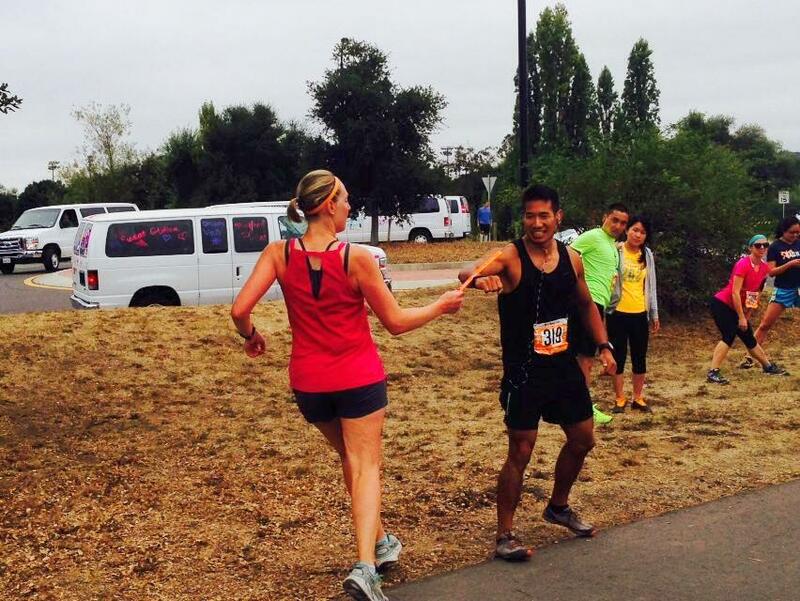 I did, however, collect my double medal for running both Ragnar SoCal and Napa. That thing is HUGE and I love it. With regards to race swag, they handed out the light blue shirts in the photos. Kevin's bright green Ragnar shirt was specific to NWP because it was sponsored by Brooks; the Brooks shirts are superior to the regular blue ones used at most events. I also received a captain's stemless wine glass with the Ragnar Napa logo. All in all, another great relay experience and a great execution by Ragnar despite the medal situation. Next relay up? 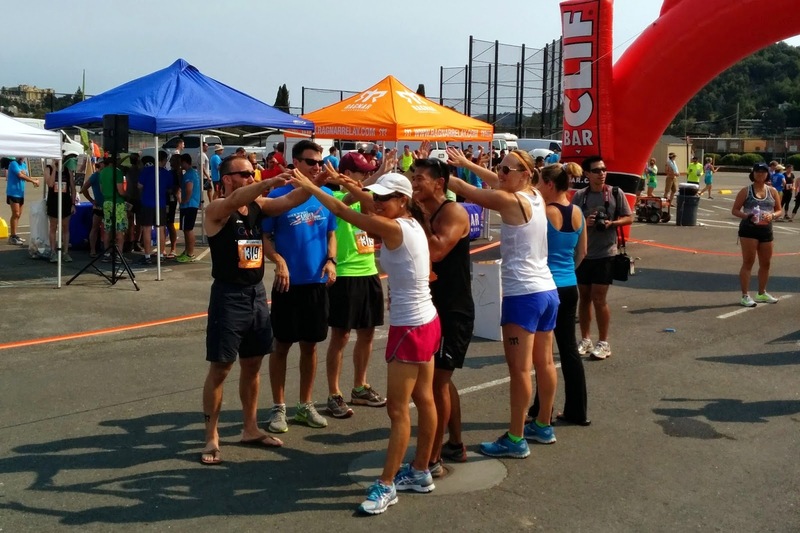 Ragnar Wasatch Back in June! Glad you had such a positive experience! 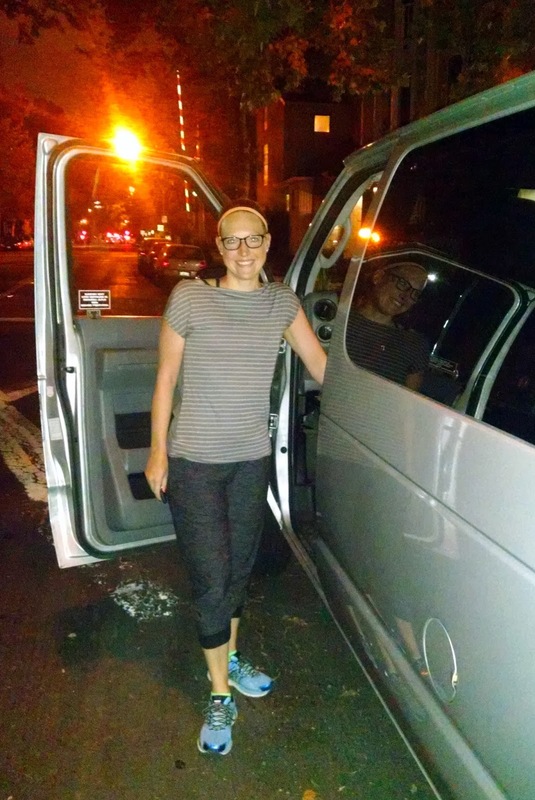 I feel like Van 2 got the short end of the stick in so many ways - the heat (x2) and running from 2-8am. The lack of indoor sleeping areas really didn't help either! I'm definitely interested in doing another relay, just not sure I'd want to do this particular course again. Totally get that. 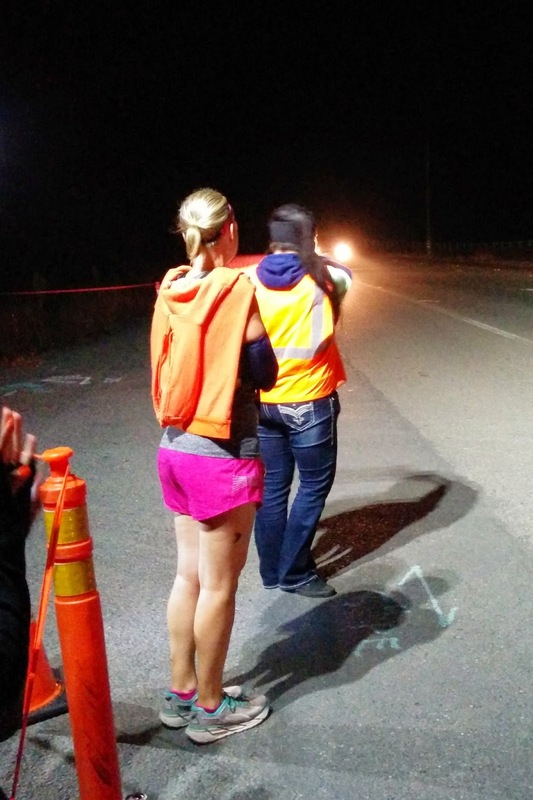 I've done van 2 on other courses (SoCal, NWP) where we had the heat and the running mid-night like that - but I loved it! I might be weird. :) I hope you get to do one you like better! Try van 1, the hours are way more normal. SoCal didn't have indoor sleeping but NWP did both times. 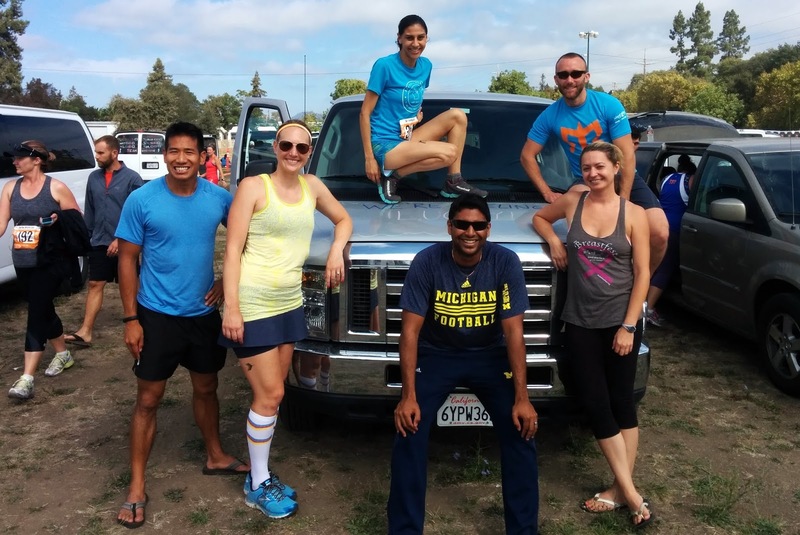 I think I'm someone who loves sleeping more than running, so you're right -- I'll probably have a better time with van 1. 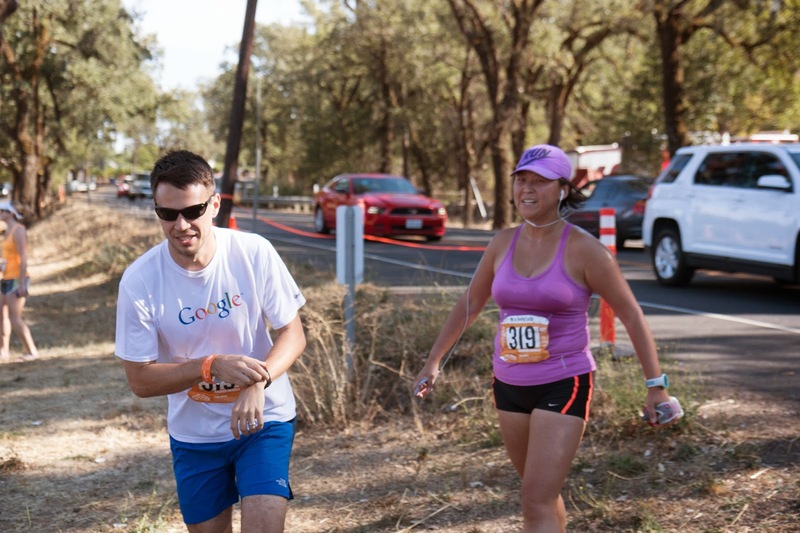 My friend and I are looking into doing a trail relay up in Chico next year. I think that might be more my style. Wow! These look like so much fun, Paulette! Love your recap! 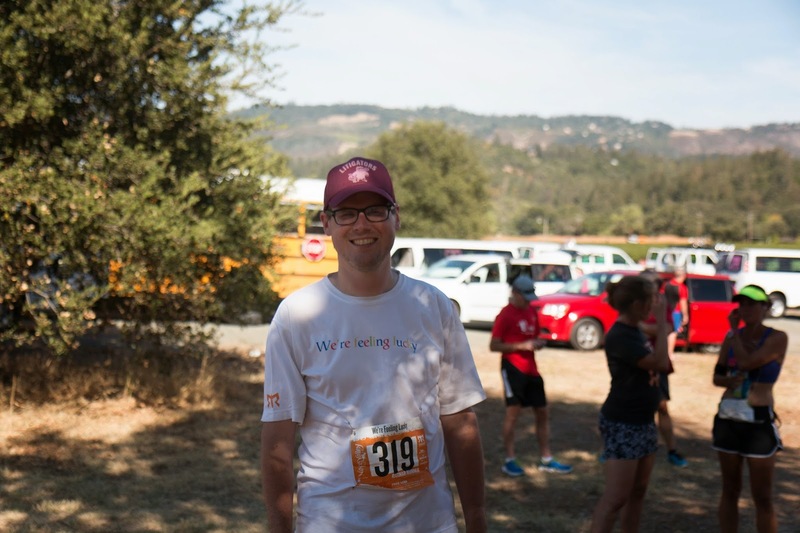 I need to do some research on these relays and see when/where Jonathan and I might be able to plan ahead and participate; thanks for sharing your experience and congratulations! 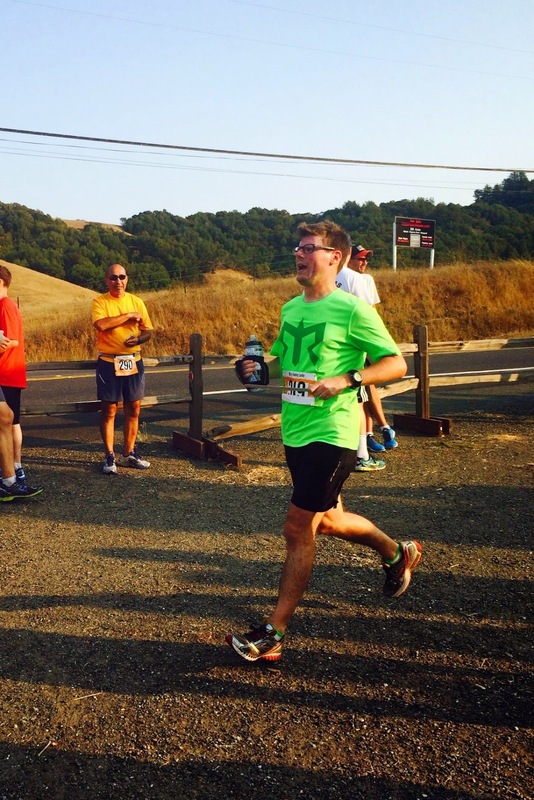 We actually saw a bunch of Ragner runners while we were in San Francsico, I was quite jealous. Glad you had a great time!